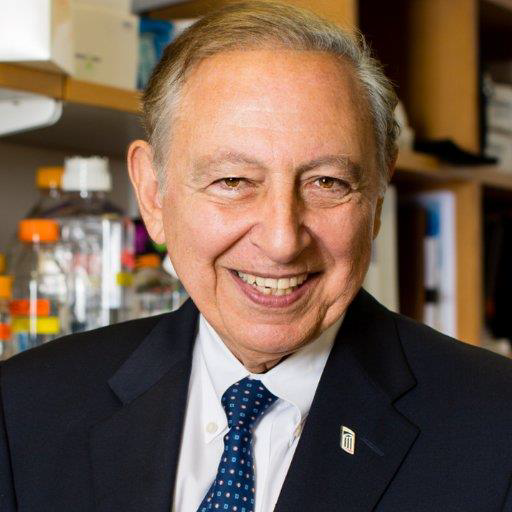 Professor Gallo who co-discovered HIV as the causative agent of AIDS will discuss viral epidemics of the 20th century and his personal experience with HIV, including reflections upon the past and lessons learned for the future. He will discuss the process of discovering a virus and linking the virus as the cause of a disease. Dr. Gallo will discuss the needs for combatting HIV/AIDS in the immediate future, including the development of a functional cure and the need for far greater testing and therapy as early and fast as possible to end the epidemic. He will also discuss the field of HIV vaccine development, including the Institute of Human Virology’s vaccine candidate while also sharing his thoughts on the field’s biggest challenges and the limitations facing all HIV vaccine candidates today. Dr. Gallo will share what HIV/AIDS research has accomplished for the broad field of medical research and public policy, and how we could do better. He will share why he co-founded the Global Virus Network (GVN) and the new collaboration between GVN, Jamaica and specifically the University of the West Indies.